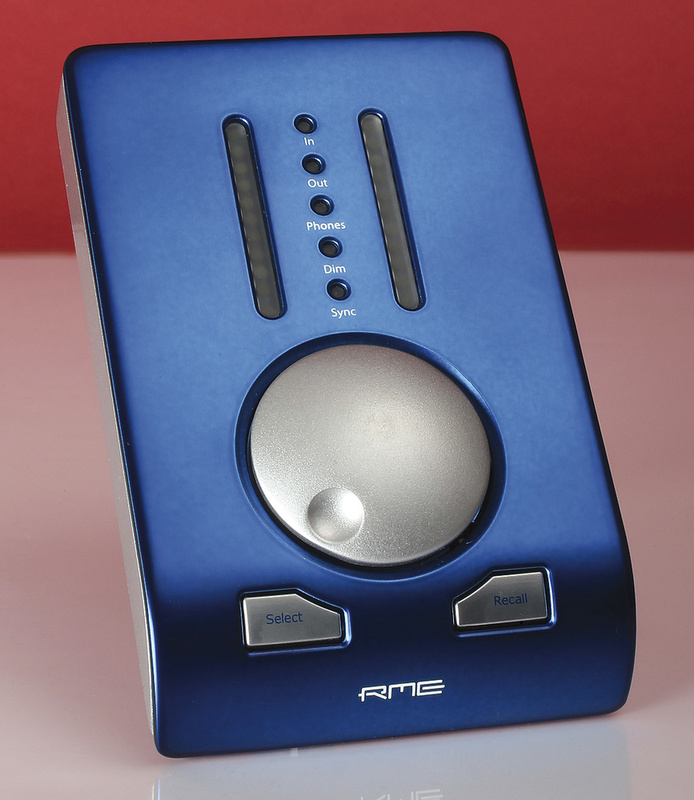 RME's interfaces get ever smaller — but this baby packs a powerful punch despite its miniature dimensions. RME like to make their audio interfaces reliable at implausibly low latencies, sound ultra‑clean, and capable of allowing you to route anything anywhere. They also like to make their products as compact as humanly possible, frequently packing into a half‑rack unit what other manufacturers would spread out over two or three units of rear‑panel real-estate. This design philosophy has won them many friends over the years, and finds perhaps its ultimate expression in the new Babyface, a device small enough to fit in the hand, yet capable of passing a total of 22 channels of audio. Beneath its smart, gadget‑tastic surface lurk two mic preamps, an instrument input, two headphone outputs, stereo line out and eight‑channel ADAT I/O. Or, as RME put it, "The Babyface is smooth on the outside for looks and feel, but has the balls inside.” Er, quite. If you can look past the picture of a baby on the box — the provision of a full printed manual is very welcome. It, the Babyface and sundry additional cables are supplied in a smart black zip‑up pouch, helping to make everything even more portable. 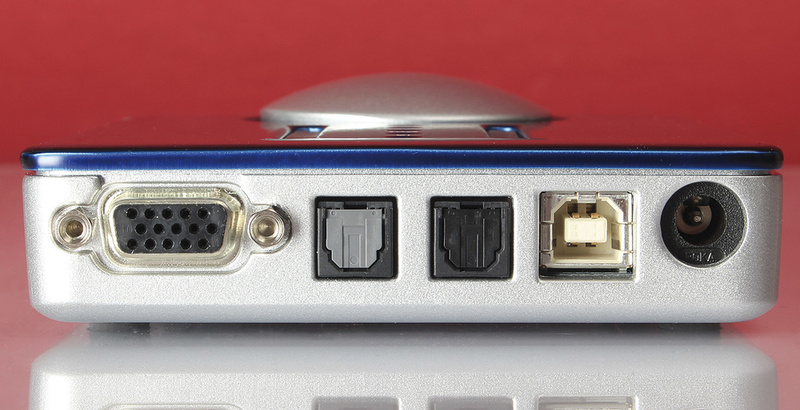 The end panel of the Babyface hosts a serial port for the breakout cable, TOSlink ports for the digital I/O, a USB socket and an input for an external PSU. 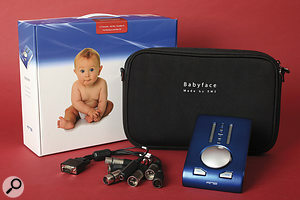 The Babyface is a USB 2 device, and is bus powered; there is a socket for a mains PSU, but none is supplied as standard. It's designed to sit on a desktop, from where it presents a large rotary encoder, two buttons, and two LED ladders. You can plug a guitar and a pair of phones in on the right‑hand side, while there are TOSlink optical In and Out ports on the Baby's rear end, but the rest of the unit's analogue I/O (and its MIDI In and Out) emerge via a 15‑pin D‑sub connector. A short breakout cable is supplied, along with an extender. RME's rage for miniaturisation does have its down sides, and if you have the breakout cable attached — as you will need to in most circumstances — you'll have to make sure that the barrels at the ends of your optical cables are not too wide. At least one of mine wouldn't fit, simply because the TOSlink Out is so close to the D‑sub. I also felt the labelling on the breakout cable could be clearer: admittedly, the connectors for each input and output type are different, but they're all black, and each is identified only by a tiny printed label on the cable. Some sort of colour‑coding would be welcome, as would larger labels on the connectors. The Select button is used to tell the Babyface what signal level you want the rotary encoder to control, the choices being input gain (for one or both channels), and the levels of the two output pairs. The second of these, which appear as outputs 3/4 in software, is hard‑wired to the headphone output. A firm press on the encoder dims the main output, while the Recall button restores the main output volume to a user‑defined reference level. Some degree of hands‑on monitor control is always handy, and this arrangement works well in practice. 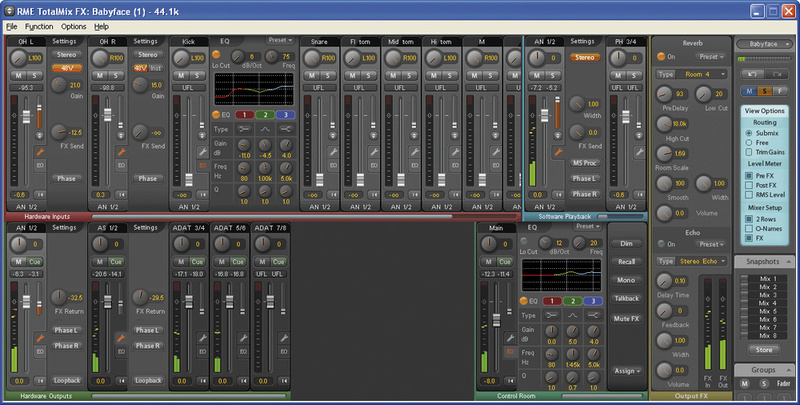 RME's Totalmix FX software offers comprehensive routing and then some...The "balls inside” the Babyface are supplied by a DSP chip, which can perform complex routing, mixing and signal processing, all controlled by the latest version of RME's Totalmix FX software. This was described in detail by Hugh Robjohns in his review of the RME Fireface UFX in January 2011 (/sos/jan11/articles/rme‑fireface‑ufx.htm), so I'll only briefly summarise its operation here. In essence, it allows you to route any combination of input and software return signals to any combination of outputs, at any level you choose. Configurations can be stored and recalled, and new to Totalmix FX is the ability to apply DSP‑based EQ, plus delay and reverb. The simple three‑band EQ is generated within the Babyface's DSP, while the delay and reverb are host‑powered, which means that — unlike input signals directly monitored from within Totalmix FX — they suffer from latency related to the ASIO or Core Audio buffer size. This is unlikely to be a problem in practice, though, as their main purpose is only to give performers a 'comfort' reverb or slapback effect. The world seems to be divided between those who take to Totalmix like a duck to water and wouldn't use anything else, and those who find it a teeny bit terrifying. I have to confess that I've usually found myself in the latter category, though the new Totalmix FX is more friendly and more akin to the mixers in typical DAW software than previous versions. I'm sure that longer exposure to it would find me a convert, but even on a relatively compact interface like the Babyface, it presents a colossal number of controls and options, and I wouldn't want to have to set up a complex monitor mix under time pressure without plenty of flying time under my belt. I also find it a bit odd that some of the most important Babyface parameters, such as buffer size and clock source, are not set within Totalmix but in a separate control‑panel utility. Would it not be easier to roll these into one, as other manufacturers, such as Focusrite, do? As well as recording vocals and acoustic guitars at home, I took the Babyface with me on a location recording project, where I used it to track drums, with its ADAT In fed from a Focusrite Octopre. One feature that I found very useful in both contexts is the digital gain control for its two mic preamps. This can be set either using the rotary encoder or within Totalmix, and provides a gain range from 0dB to +60dB, in 3dB steps, while phantom power is also switched digitally and independently for both inputs. The beauty of digital control is that not only can you recall settings at a later date, if you need to match up an overdub with an original take, but you can achieve precise stereo matching across the two channels — something that can prove almost impossible with the inconsistent, non‑linear analogue gain controls found on many project‑studio interfaces. I could give my drum recordings back to the band without having to worry about rebalancing the overheads in post‑production. The preamps themselves sound very clean and do their job very adequately, as indeed do the A‑D and D‑A converters, while the Babyface sync'ed over ADAT with no problems at all. The Babyface's headphone amp has attracted criticism in some quarters for being unable to put out a loud enough signal, a consequence of its being powered from the 5V USB connector. Whether or not this is a problem for you is likely to depend on what headphones you use. At our drum session, the drummer was playing — very loudly — along to some previously recorded backing tracks which consisted mostly of acoustic guitar. He was receiving the signal from the dual‑purpose line out/duplicate headphone out on the Babyface's breakout cable, while I monitored simultaneously on the main headphone out. This, in theory, should have been an absolute worst‑case scenario, since the duplicate output is lower in level than the main out, and plugging two pairs of phones in drops the level, as both are driven from the same amp. As it turned out, turning the headphone control all the way up gave him an adequate level on his KRK KNS8400 phones, while the level on my Sony MDR7509s was also perfectly healthy. However, both of these phones are very low‑impedance designs, which are consequently very easy to drive, and given that there was no additional room for manoeuvre, I can see that other models might be problematic. In the past, I've sometimes felt that RME's drive to make everything smaller has had unwelcome trade‑offs. The half‑rack Fireface UC, for example, omits various controls and features that could probably have been included had it been a full rack‑width unit, and which would perhaps have made it an even better product. But with the Babyface, the advantages are much more obvious. It will sit happily on the most crowded of desks, and fit comfortably into a laptop bag or even a large coat pocket — yet with the ability to hook up an eight‑channel preamp via ADAT, it also gives you some serious power for recording multitrack sources when you need to. It's perfect for the musician who needs only a simple, compact stereo source for mixing, but wants the option to take a laptop out of the house and record bigger projects sometimes. As ever with RME products, driver support is second to none, while its simple monitor-control features are very practical and it puts as little as possible, sonically, in the way of your music. What's not to like? The Babyface's visual design seems to borrow some of its cues from Apogee's Duet, and the two have quite a lot of basic functionality in common. 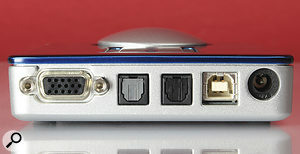 However, the Duet is a Mac‑only device, connects via Firewire rather than USB 2, and lacks the Babyface's ADAT I/O. Avid's new Pro Tools Mbox Pro is perhaps also worth considering. Much larger than the Duet, and again connecting via Firewire, it nevertheless offers a decent complement of I/O and what looks to be a reasonably sophisticated monitor controller. MOTU's Ultralite looks rather prosaically like an audio interface, and not like a designer gadget from the year 2525, but can be hooked up via Firewire or USB 2, and offers most of the same features as the Babyface. And if the name Babyface isn't sufficiently ridiculous, and you have a Firewire port, you could also consider TC's Impact Twin, another well‑specified and compact desktop unit. Compatible with: Mac OS 10.5 and above, Windows XP SP2, Vista and 7. Analogue inputs: two (two XLRs on breakout cable; input 2 also available as high‑impedance instrument jack). Analogue outputs: four (two XLRs and a stereo jack on breakout cable; outputs 3/4 duplicated at headphone jack). Digital I/O: optical S/PDIF or ADAT. Other I/O: MIDI In and Out. Very compact, yet capable of operating as a 10‑in, 12‑out interface. Digitally controlled mic preamps are a boon for stereo recording. Simple yet effective monitor-control features. 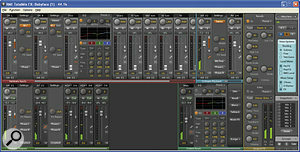 Sounds very clean, and has RME's usual excellent low‑latency drivers. The headphone amp may not have enough juice for everyone. The labelling on the breakout cable could be better. This is a well thought‑out product that packs a surprising amount of power into its stylish case. Synthax Audio UK +44 (0)1923 693756. Synthax Inc +1 954 626 0674.